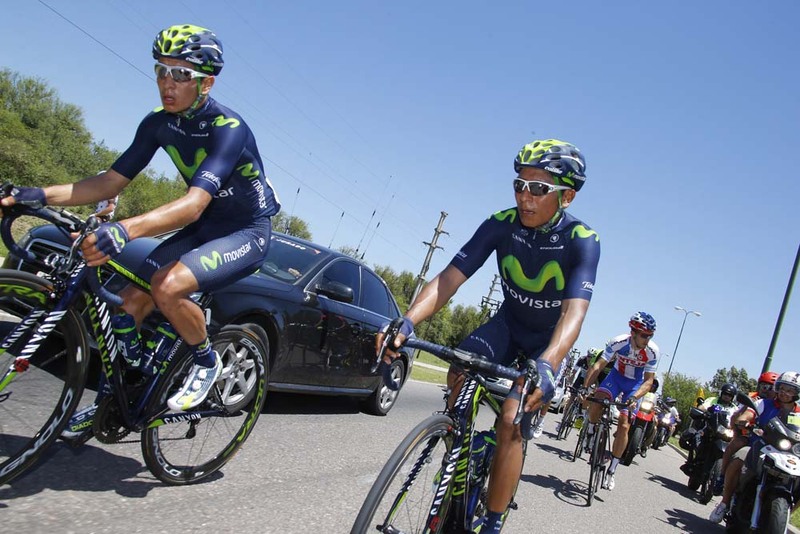 Nairo Quintana (Movistar) lost his chance to win Argentina’s Tour de San Luis overnight, but says that he is still on track in his attempt to become Colombia’s first Tour de France winner. “I feel pretty much in the same condition on these climbs as I did last year,” Quintana said after losing nearly a minute. Argentinean Daniel Diaz won the stage to Alto El Amago north of San Luis and added to his overall lead. Quintana, the 2014 overall winner, sat off to the side of the finish line at 1720 metres and looked at the overall times. The five-foot-six climber, winner of the 2014 Giro d’Italia and second to Sky’s Chris Froome in the 2013 Tour de France, lost 56 seconds to Diaz when the road climbed up the sun-drenched slopes. He held on for the initial accelerations, launched two of his own attacks and drifted behind in the final four. The classification sheet showed him fourth overall at 1-23 minutes. Diaz already won the race in 2013 when he beat American Tejay van Garderen (BMC Racing Team). 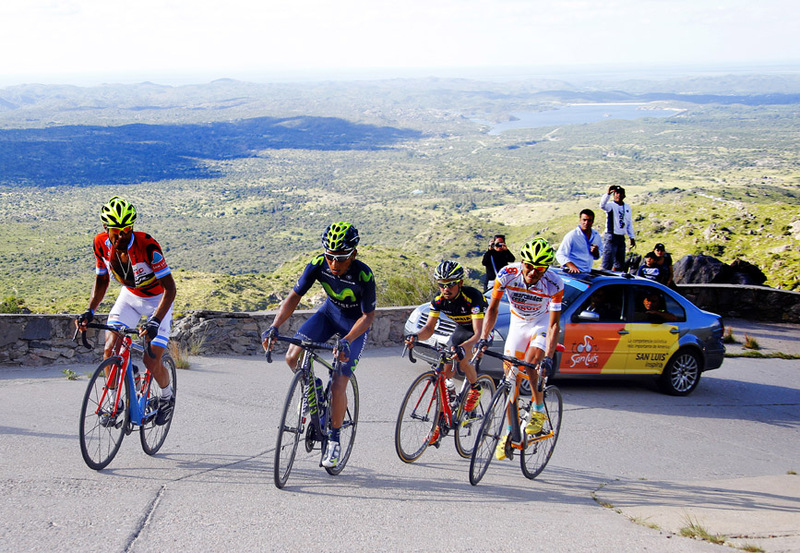 For a local riding for the national team, the Tour de San Luis is the season highlight. Quintana took a towel from his team Movistar helper and cleaned his face while Diaz celebrated on the podium. However, his eyes are not on the podium in the Tour de San Luis, his first stage race of 2015, but six months ahead. “The rivals I’m facing this week are in pretty good form for what you’d expect at this point of the season, and that’s why today’s result doesn’t worry me much,” Quintana said. Quintana became the Giro’s first Colombian winner since its beginning 100 years ago. This season, he will skip the Italian Grand Tour to focus on winning the Tour. Colombia won the mountains classification twice and the Alpe d’Huez stage with Luis Herrera, but never won the race overall. In 2013, Quintana finished at 4-20 minutes behind Froome, won the white jersey for best young rider, the mountains jersey and the final summit finish stage to Le Semnoz. “I grew up watching Lucho Herrera,” Quintana told Italy’s La Gazzetta dello Sport. “After my first wins, I said that I’d go on to win a stage in a Grand Tour, but some people didn’t believe me and laughed.